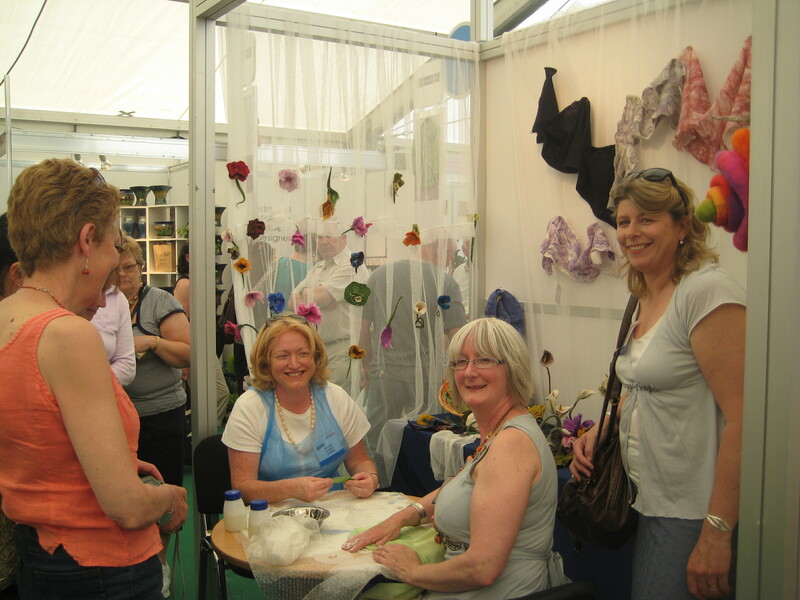 A group of 18 Irish feltmakers attended the Felt in Focus symposium in Denmark in 2009. 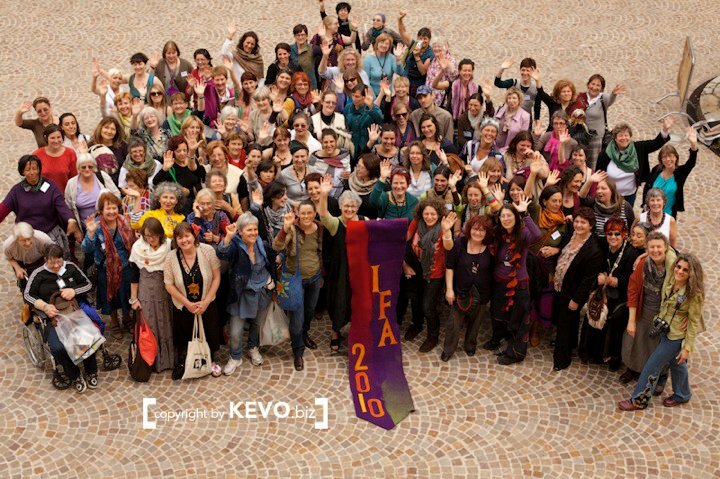 It was a fantastic event with a wide range of international tutors, shops, fashion show, exhibitions – a real treat for anyone interested in feltmaking. The organisers are holding another symposium in 2011 with a very impressive line up of tutors. There’s plenty of time to start saving and planning ahead. 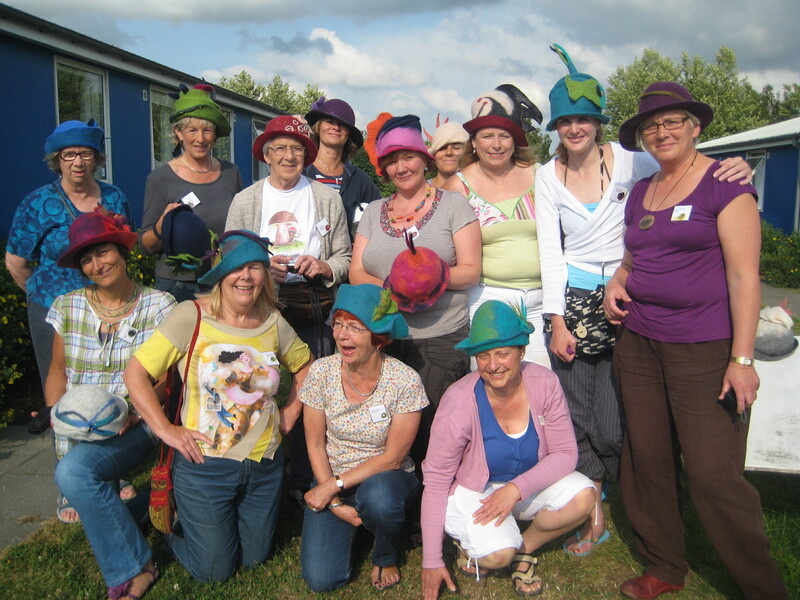 We had the best fun ever at our AGM last Sunday – about sixty people turned up and we had stalls from the Yarn Room in Ashford, the Fabric Gallery in Bray, Craftspun Yarns and the Wool Initiative. Thanks to all the stall holders who made the journey to join us. We had our first ever fashion show which displayed a wide range of skills and beautiful felt items. Here is a short video. We also had the beautiful Cristina and Eleanor on the catwalk! We were very sorry to loose three fantastic people from our committee – Eleanor Roche, Susan Walsh and Kathrina Hughes who over the years have contributed so much time, energy and creativity to the organisation. “Uncommon Threads” is an exhibition by Filament a group of very talented fibre artists – most of who are also members of Feltmakers Ireland. This show features work by all eight members of the Filament group. 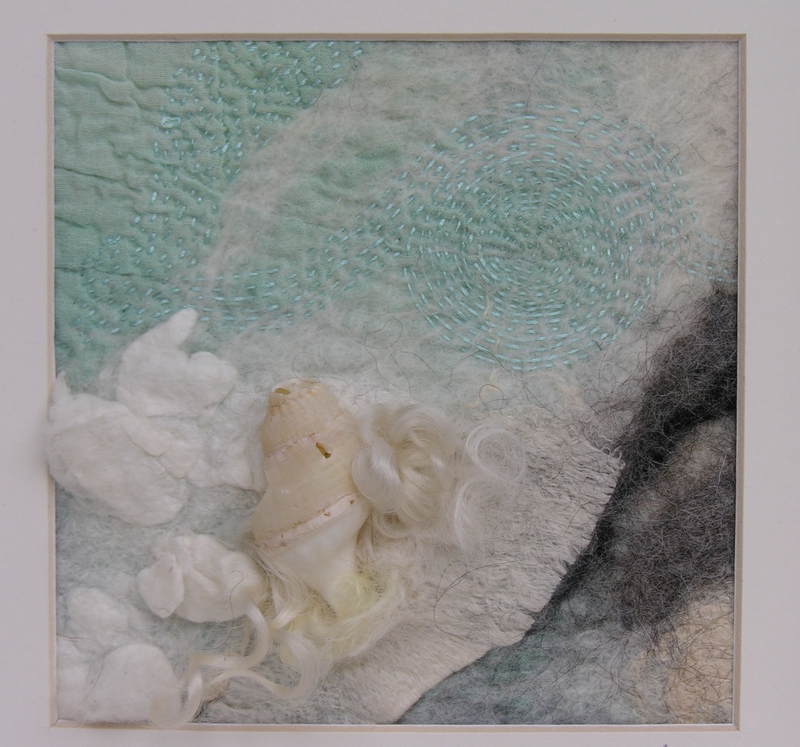 The work is inspired by the natural world and responds to elements such as the figure, rural landscape and plant life, through a variety of media including felt stitch and found objects. The show runs from Sat 1st of May to Sunday the 16th of May in The Graffon Gallery, Castle Espie, Co. Down, Northern Ireland. For anyone who can make it to Castle Espie ( a beautiful heritage wildlife site on Strangford lough) it is well worth a trip.